Your dress shirts are probably some of the nicest clothing you own, so if there’s a way to give them longevity, do it. Enter: The undershirt. Sweat stains and body oils can take your dress shirt from sharp to so-so in a hot minute, but adding an undershirt will keep your dress shirt fresh and refined all day long. Here are our top tips for wearing an undershirt the right way. Your go-to everyday tee need not apply for this position. Invest in a true undershirt, a garment designed only to be worn under other shirts. It should fit close to your body so it lays smoothly and feels relatively fitted but not constricting. An undershirt with some spandex in the fabric can also give you more ease of movement. Finally, be sure your undershirt is long enough to stay tucked in; you don’t want any bunching or rolling to ruin your look. The neckline of your undershirt shouldn’t be visible under your dress shirt, so stick to crewnecks when you’re wearing your shirt buttoned up with a tie. Look for crewnecks with necklines that don’t gape and lay flat for a clean, smooth look. 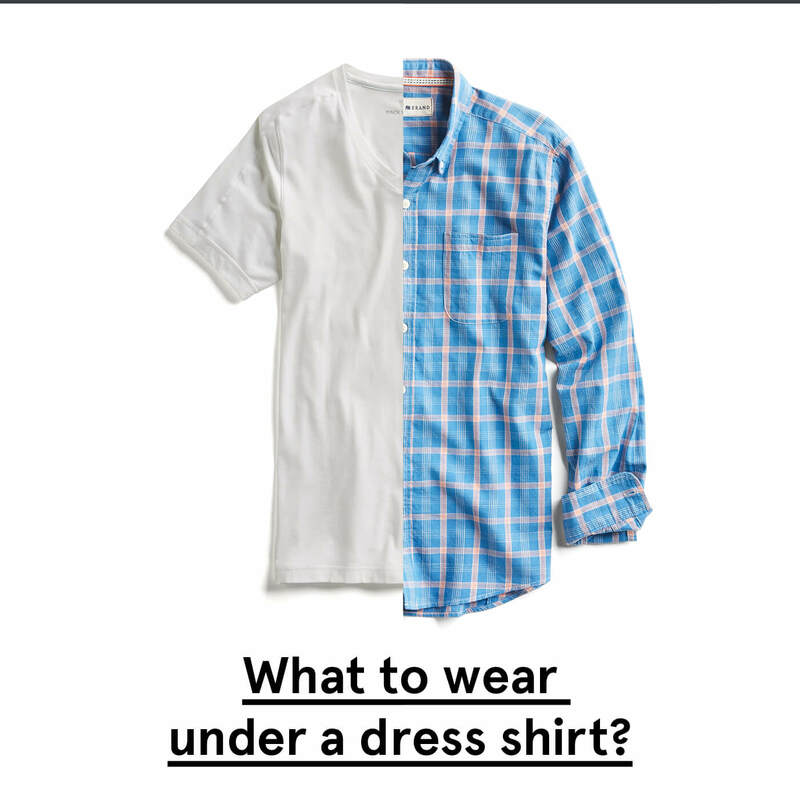 Planning on dressing down your dress shirt or taking off your tie for post-work drinks? Opt for a V-neck undershirt if you’re loosening a button or two. Since the idea is for an undershirt to remain unseen, a V-neck lets you sport that more relaxed look with the same overall coverage. White undershirts for workwear are the core of many a man’s undershirt drawer because they’re easily available and easily bleached to get rid of sweat stains. Other colors, like grey, charcoal and black can work well under your darker dress shirts, too. Want to add some new undershirts to your closet? Add them, as well as any other Extras you need, when you schedule your Fix!